Imagine your hometown in chaos. Airstrikes every day. The grocery store down the street is suddenly destroyed, your friends are fleeing, and you watch a family of seven be reduced to just two. Each day, a red truck arrives in the morning, just to drag away the piles of dead bodies. You can barely walk, and you require medical assistance but can’t find any. During January of 2016, I traveled to Turkey with a group of students from the Yale International Relations Association. In Istanbul, we met with a family of Syrian refugees who escaped from Aleppo, a city under siege for the past few years. I had the opportunity to spend some time chatting with the grandmother of the family, and she explained why they had fled: the violence, the scarce resources, and the lack of medical treatment for those who needed it. She required medical assistance to treat her failing legs, and she arrived in Turkey with the hope of finding adequate health care only to discover that the system was much more convoluted than it had appeared. SEPTEMBER 2014. 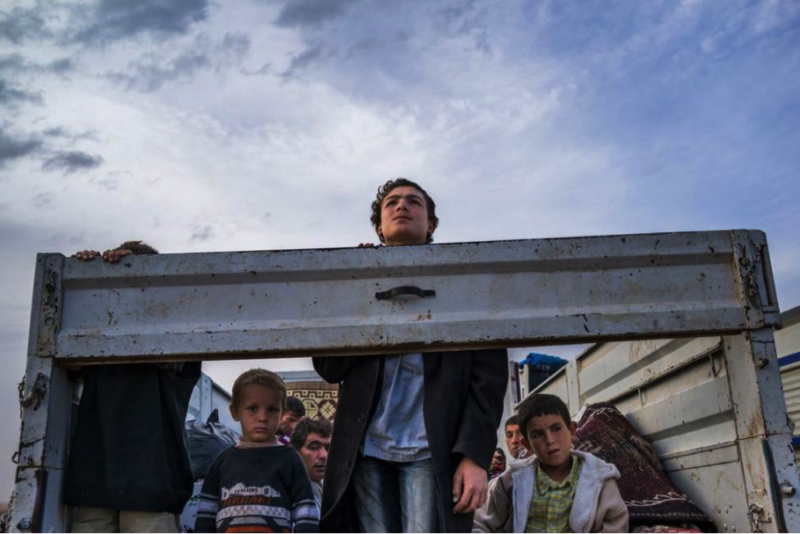 Syrian Kurdish refugees look out from the back of a truck as they enter Turkey from the town of Kobane (Ayn al-Arab), Syria, and surrounding villages. © 2014 Michael Christopher Brown/Magnum. Today, Turkey bears the burden of caring for over 2.62 million refugees from Syria.1 A large part of this responsibility entails providing some form of healthcare to non-citizens who desperately need it. Although several policies have been put forth, issues of implementation, demographics, communication, and institutional gridlock still create instability within Turkey and prevent Syrian refugees from accessing sufficient healthcare. On January 18th, 2013, two years after the start of the Syrian Civil War, the Turkish government issued its first policy addressing healthcare. It stated that all Syrians refugees, registered or not, in the eleven provinces along the Turkish-Syrian border would be authorized to receive the same health services as Turkish citizens but at no cost.2 According to this new policy, the Turkish government had committed to provide free healthcare to a large sum of refugees. That is, they could, in theory, walk into any public hospital to see a physician and receive medical treatment. 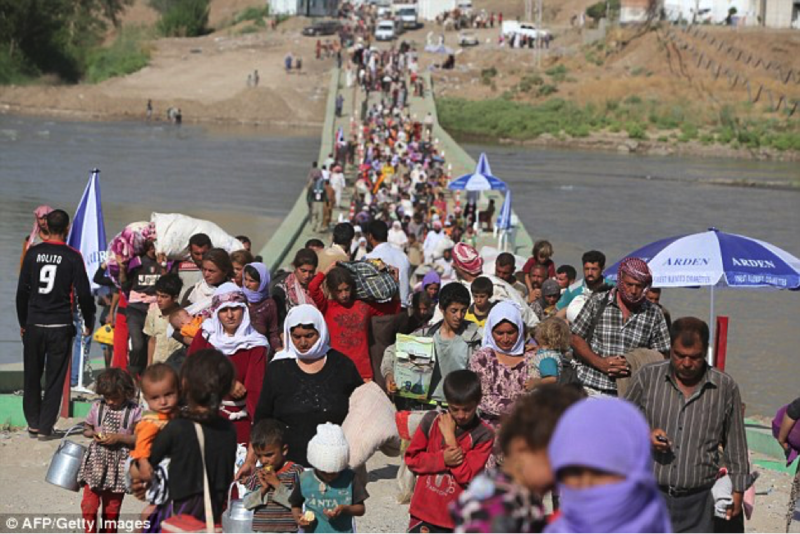 Despite the decree, medical teams in many of the bordering regions did not uniformly apply the policy. For instance, a think tank our group met with mentioned that in the province of Hatay, teams of physicians were told that unregistered urban Syrian refugees, who comprise the majority of the refugee population, were experiencing difficulties accessing services, especially tertiary medical care. Although hospitals have been reported to be consistent in providing emergency health care to almost all refugees, follow-up visits have not been covered, largely because the visits are free for refugees, and doctors are not necessarily compensated for their work.3 About a year after the initial decree, the Turkish government introduced a new protection policy to extend health coverage to all 81 provinces in Turkey.4 In addition to issuing this policy, Turkey also introduced identification cards for Syrian refugees. Refugees require ID cards to access healthcare, education, and similar civil services.5 The purpose of introducing these ID cards was to promote the registration of refugees: if refugees knew they required ID cards to access services, they would be more inclined to register.6 However, in spite of the ID cards and the extension of coverage in all provinces of Turkey, the implementation of the health system remains problematic. Most of Turkey’s troubles with refugees are derived from the assumption that the Syrian Crisis would be transient.7 Four years ago, when refugees first started to flee to Turkey, the Turkish government did not expect the conflict to last, and as a result they only planned for temporary accommodations. However, the persistence of the crisis and the nearly exponential influx in refugees has made the problem increasingly complicated and difficult to manage. Furthermore, it has become clear that refugees are unable to return home anytime soon, especially given the deadly circumstances in modern Syria. Every government official with whom we met in Turkey, including President Erdogan’s Chief of Staff, Ibrahim Kalin, mentioned that the likelihood of permanent residence among refugees has complicated policy issues and questions of integration, which largely include access to healthcare services. 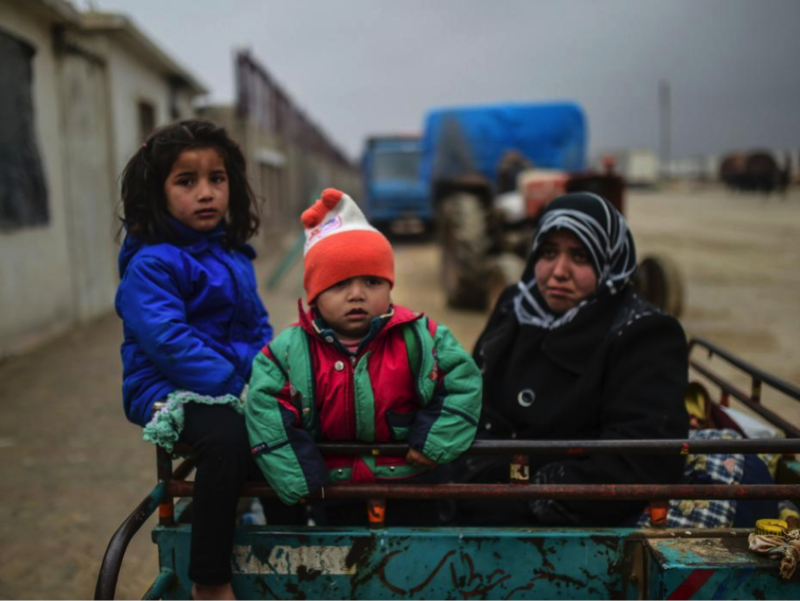 Since the Syrian Civil War broke out four years ago, more than four million people have fled the country – with many of them now living in refugee camps over the border in Nato member Turkey. Source: AFP/ Getty Images. By far one of the most troubling obstacles preventing refugees from accessing services is the language barrier.12 Syrians typically speak Arabic, not Turkish. The inability of Syrian refugees to communicate with locals was increasingly apparent during my visits to local markets, Syrian schools, and meetings. Not only has the language barrier complicated matters of simple communication and understanding, it has also prevented Syrian refugees from voicing their needs and rights as specified by the government. The Turkish government recognizes this problem, and the Directorate General of the Ministry of Migration mentioned that they intend to put forth programs for adults to learn Turkish and for students to gradually acquire the language throughout primary and secondary school. As the Turkish healthcare system is definitely strained, the Turkish government has allowed international non-governmental organizations (NGOs) to provide specialized health services for Syrian refugees within Turkey. Although these efforts are not without their complications, they have added another level of temporary protection for refugees. NGOs are beginning to provide health services to non-registered and non-camp refugees but are unable to meet all of their needs. Some of the international NGOs have been able to partner with local NGOs to operate fully-functional health clinics with the help of funding from international relief organizations and support from Médecins Sans Frontières (Doctors Without Borders). For instance, the American Society of Addiction Medicine has worked closely with the International Medical Corps to build a major health center for refugees in Istanbul.13 A representative from the International Strategic Research Organization (USAK), a think tank based in Turkey, mentioned that a similar center will be developed in Gaziantep soon. Many of these organizations are vying for the Turkish government to ease registration restrictions for international NGOs seeking to work inside Turkey, especially for those trying to expand assistance programs to non-camp refugees in need. Similarly, public sentiment in support of these donors has encouraged the government to promote collaboration between local and international NGOs. A refugee family, fleeing airstrikes in Aleppo, arrive at the Turkish border crossing of Bab-al Salam. Source: AFP/Getty Images. The most alarming news relating to health services in Turkey is a new policy on pharmacies and medical expenses, implemented by the Disaster and Emergency Management Presidency.15 According to this policy, all pharmacies within Turkey can only provide medicine to Syrians if the prescription is given by a hospital in the same district. Previously, Syrian refugees could get medicines at any pharmacy within Turkey. This new rule has not only decreased the number of pharmacies where refugees can get medicines but has also changed the attitude of pharmacies toward Syrian refugees. For example, some pharmacies are reluctant to supply medicine to Syrian refugees due to delays in receiving reimbursements from the Turkish government. In fact, over 5,000 pharmacies in Turkey have refused to provide medicine to Syrians, claiming that the government owes each pharmacy, on average, 25,000 to 40,000 Turkish liras, which translates to roughly $28,000 to $44,000 (USD). In meetings, I was told that only five pharmacies within all of Turkey still provide medications to Syrian refugees, even if they have a prescription.16 Only five. Throughout my trip, it was evident that the public, the government, and, to a large extent, the published research support policies that encourage integration, especially with respect to health care. The system has problems, and the international community faces a great challenge ahead, but the Turkish government’s efforts are commendable. Based on a report from USAK, the Turkish government has reported that 63 Syrian doctors and 18 Syrian pharmacists have accepted positions at Temporary Protection Centers with the approval of the Ministry of Health. In conjunction with the United Nations Higher Commission on Refugees (UNHCR), the UN’s refugee agency, and the European Union, Turkey also plans to open 10 fully equipped hospitals and 12 mobile health units with the sole purpose of increasing Syrians’ access to health care services. Similarly, the UNHCR has undertaken the construction of fully staffed health facilities; five near the camps by the border and two in urban areas.17 Resolving this crisis requires a lot more effort, but hopefully, these new developments will be beneficial and effective in addressing the healthcare needs of Syrian refugees. The Turkish people, the government officials, and Ahmet Icduygu, a Professor at Koc University, with whom I met cited Turkey’s history as the main inspiration behind maintaining an open-door policy and encouraging integration. Dating back to the times of the Ottoman Empire, World War I, World War II, and the Armenian genocide, Turkey has historically provided refuge for those fleeing civil conflict, and the Turks we met with were proud of their history of having preserved such hospitality. Despite this historical precedent, Turkey faces what could be one of the worst migrant crises of our time, with challenges of integration, implementation of services, and providing a future for multiple generations of Syrians. In spite of all of this, this inspiration demonstrates patience and benevolence. As a Syrian-American student, I am deeply saddened by the health care problems Syrians face in Turkey today. Nevertheless, I am hopeful for a resolution to the Syrian crisis and a prosperous future for all those suffering from the terror of war. Jude Alawa is a Syrian-American from Miami, FL and a sophomore in Branford College. He hopes to study global health policy in developing regions and investigate effective measures to deliver healthcare to forcibly displaced populations. AFAD Communique, 2013/8 No. 12816. (2014, May). Syria Crisis Monthly humanitarian situation report.